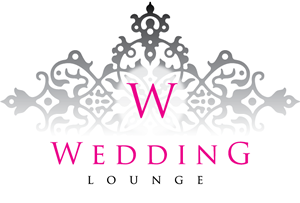 We’ve added a few FAQ’s about the Wedding Lounge website and how to use it. If you cannot resolve your queries after looking through this page, please feel free to contact us for further information. What is the Enquiry List? As events can vary dramatically in terms of guests, venue etc. it is difficult to provide prices to suit all. The enquiry list works like a ‘shopping cart’ but instead of actually buying our products through the website, you produce a list of items you need for your special day and we can supply a bespoke pricing structure specifically for your event. So once you have formulated your list of requirements, send it through to us and we’ll send over a quote for what you need. If you like a particular product or service but would like time to think, add it to your wishlist so you can easily find it later. You’ll need to create an account first so make sure you register. Once you have added it to your wishlist, you can either delete if you no longer want it, or add it to your enquiry list for a quote. The Quick Enquiry form is used if you need more information about the specific product or service you are viewing at that time. Simply fill out the form provided and we’ll reply to you as soon as possible.